"If I had anyone to help, or any way to arrange for the money on my own, I would not have waited so long to treat my daughter. By now, I'd have made sure she had the surgery. I feel helpless. I feel like I have failed her. It is the worst feeling, that I am not able to relieve my daughter's pain." 5-year-old Lakirthana was diagnosed with a congenital spinal deformity that is progressing quickly and requires a corrective surgery to fuse the spine at the earliest. 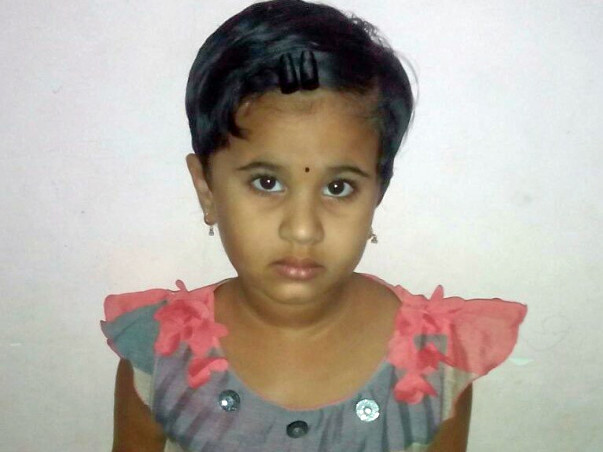 Her father is doing everything possible to help find relief, but funds still evade him. 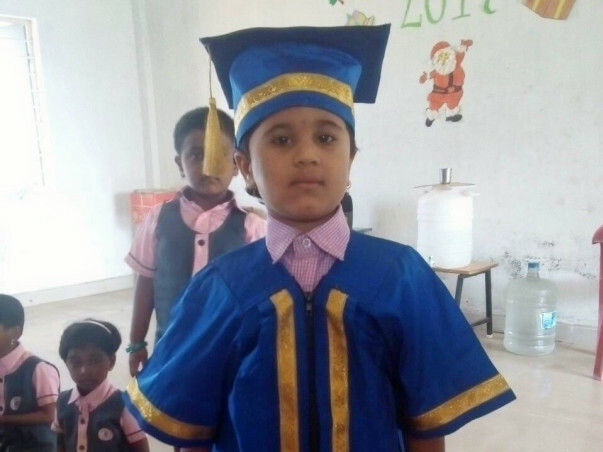 Lakirthana lives in the small town of Kovilpatti of Thoothukudi district with her parents, Thirumoorthy and Revathi, and her older sister, Rajitha. 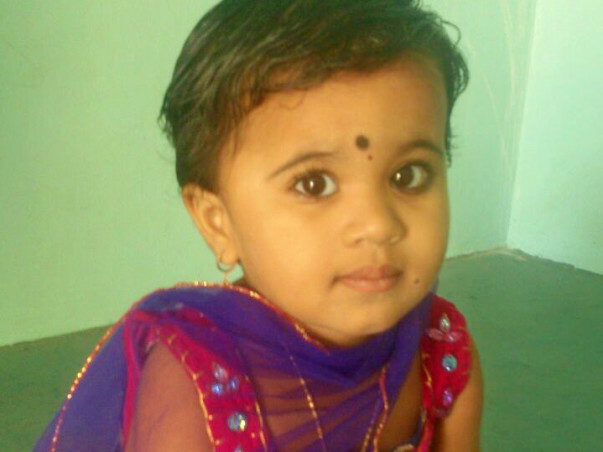 As the youngest in the house, Lakirthana is showered with affection and is her daddy's little girl. Although Thirumoorthy works as a driver earning around Rs. 8000 to Rs. 12000 depending on the work, he is insistent upon educating his daughters and ensuring they grow up to be strong, independent, and well-placed women. "I could have put her in school after her treatment, but I don't want her to slack off and lose interest in studies. For children, it is important to go to school and learn when their minds are fresh. My daughter is 5, I know. But, I make sure she understands the importance of education for people like us." Talking about her condition, Thirumoorthy explained how her spine looked deformed right from birth. Worried about it, the parents consulted a doctor who told them about Tethered Cord and Syringomyelia. He suggested she wear a belt to correct the condition. As time went by, it was clear that Lakirthana's back was not getting better. In fact, she would cry out of pain if she had to sit in a place for longer than half hour or stand for more than a few minutes. "We consulted a few doctors, and finally decided that it was time for the surgery. They gave us time to arrange for the money. I don't want her to be in pain anymore. She is still young so we have the chance to fix this before it puts her in a wheelchair." 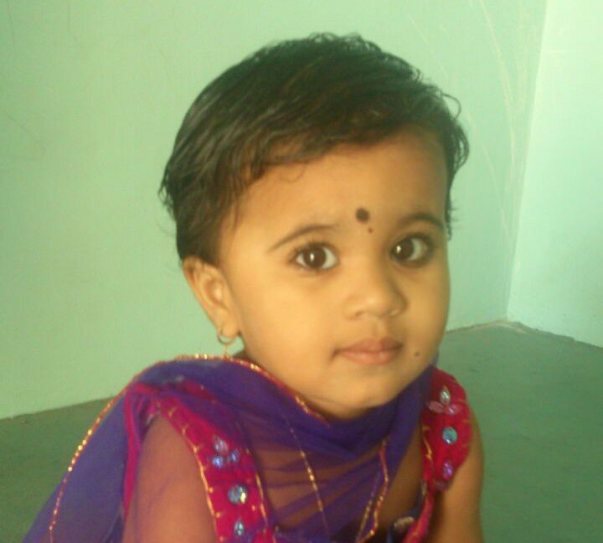 When Lakirthana was 7 months old, she had a surgery for the condition and needed a followup. Since it is progressing quickly, Thirumoorthy cannot lose more time in going forward with the treatment. 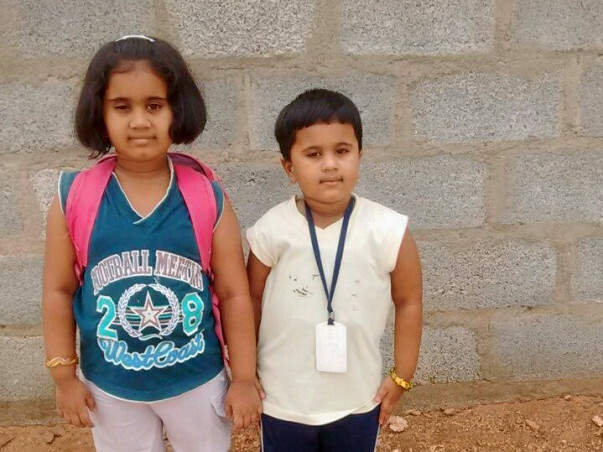 "Her teachers are very accommodating to her condition. There are no rules for her. She doesn't have to wear a uniform or sit on the bench or go at a specific time. I explained to them about her problem, and they make sure that she is comfortable. She goes only for three hours, but we feel it is important for her. Whether or not we have food, I want both my daughters to study. 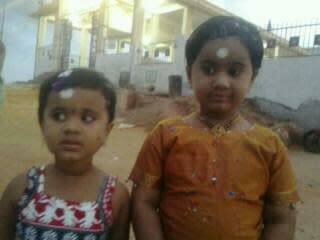 It is a gift I can give them for life." 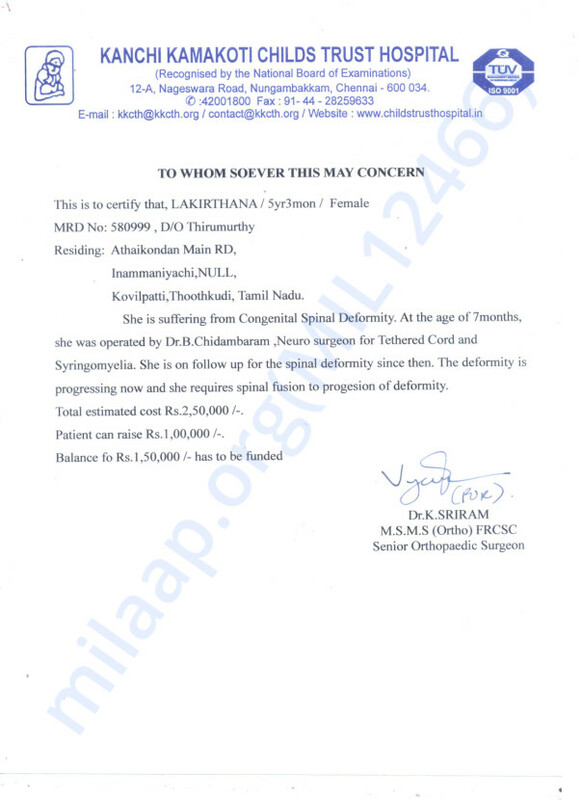 Lakirthana will have her surgery around March 27th. Thirumoorthy does not have friends or family who are able enough to contribute to his need. The estimated cost of the surgery is Rs. 2,50,000 of which this father has been able to arrange for Rs. 1,00,000. He needs Rs. 1,50,000 to give his daughter a better quality of life. Your contribution can help a little girl live her life to the fullest, and a father do the best for his baby girl. 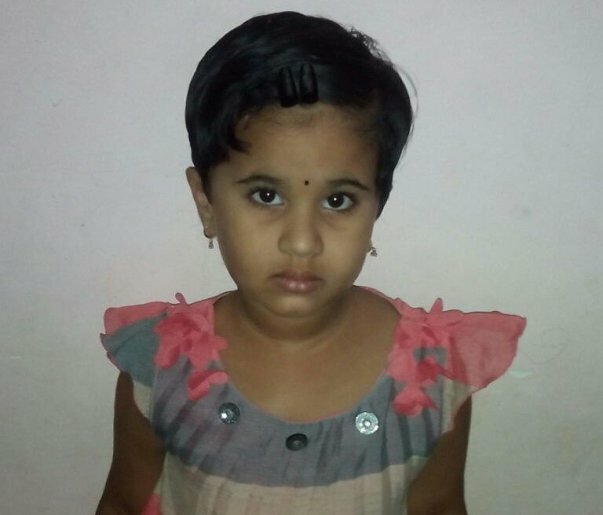 Donate now to help Lakirthana stand on her own feet. My e mail is valid one. Wish the daughter a successful treatment.